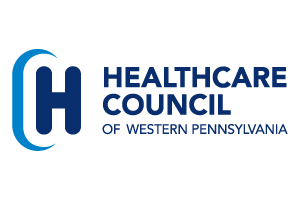 As part of navigator funding from the Centers for Medicare and Medicaid Services (CMS), Healthcare Council can assist members throughout western Pennsylvania in a number of ways during the Open Enrollment period, which begins November 14, 2014. Through this funding, Healthcare Council now has a trained navigator as part of its staff. Katie Montgomery joined Healthcare Council’s staff last year as a Certified Application Counselor. She has now completed training as a navigator. Katie is available to assist members in a number of ways. She can assist any member hospital with enrollment events in their community or at their facility; she can assist hospital CACs with additional training and information; she can enroll individuals referred to her by members or their partners and she can provide additional resources and information on enrollment. Through its partners, Healthcare Council will be giving members access to several tools, resources and other information regarding enrollment. In the meantime, please contact Healthcare Council for assistance. Please contact Pat Raffaele at patricia.raffaele@hcwp.org with questions or for additional information.